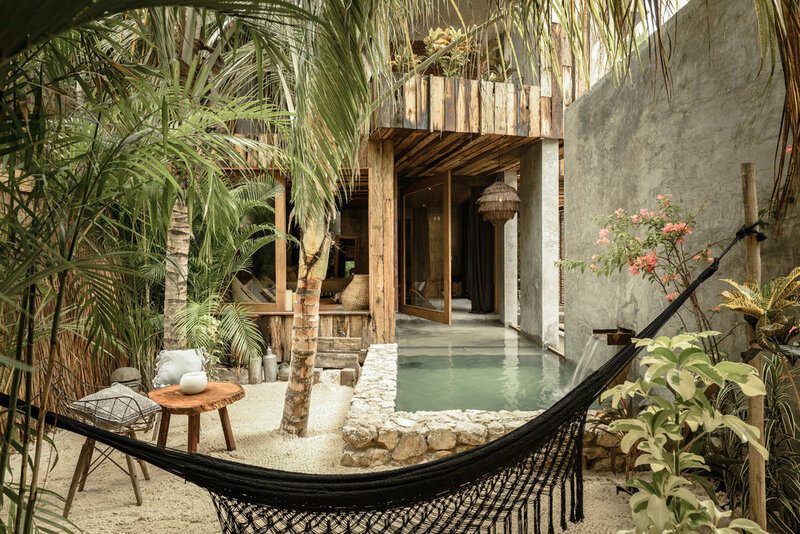 Nomade is a beachfront boutique hotel in Tulum, Mexico. Enjoy white sand beach, a backdrop of a lush jungle and true barefoot luxury. The accommodation choices includes Jungle Suites, Ocean Villas, Deluxe Tents, and Pool Villas. Relax on one of the nicest beaches in Tulum and enjoy the hippie chic vibe. Be Tulum Hotel is an image of Tulum, Mexico many have in their minds, that actually exists in reality. Set in the dense jungle, with a white sand beach as its backyard and close to the biosphere reserve of Sian Ka’an, the boutique hotel is a near perfect tropical destination. There are 44 private suites between the jungle, the beach and the sea, all created with local materials and original designs. Choose the Ocean Front Suite for ultimate luxury, complete with a rooftop terrace, a pool and a sun bathing area. Visit the Yäan Wellness Energy Spa to relax with an organic treatment after a day full of adventure. 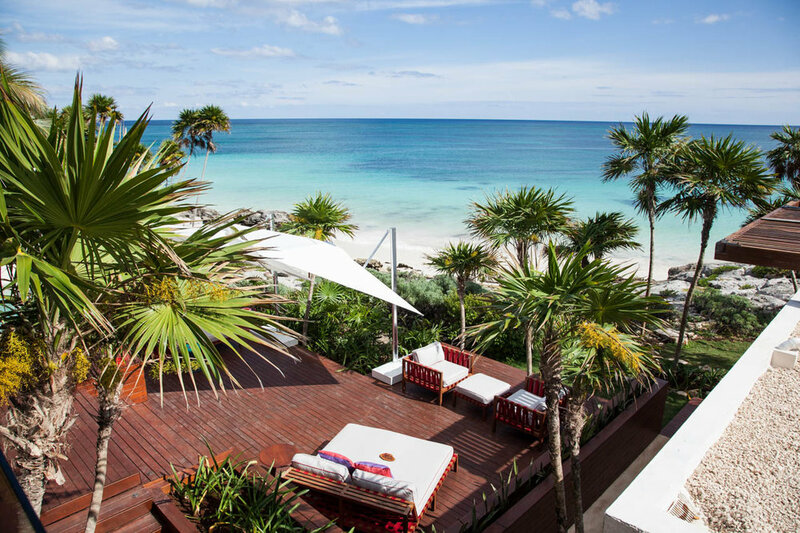 La Zebra is located on one of the most perfect stretches of beach in Tulum and combines nature, design, and cuisine in a boutique tropical environment. Choose between one of the colourful classic cabanas or the contemporary suites. The jungle chic cabanas are only steps away from the ocean, complete with a palapa roof and the modern contemporary suites are every design lover's dream . Both come with A/C, private decks, and hammocks. Built on a rocky coast, above the turquoise waters of the Caribbean Sea and surrounded with a lush jungle, Hotel Mi Amor really sets the tone for being one of the most romantic destinations in Tulum, Mexico. Choose one of the handful of suites the boutique hotel offers, complete with private balconies and plunge pools, where even the Garden Suite comes with a glimpse of the water. Enjoy a welcome massage as you are checking in. Relax on a floating daybed, surrounded by plants. Hotel Esencia is a boutique Mexican hotel, located between Tulum and Playa del Carmen on a still untouched Xpu-Ha Bay. Originally, serving as a private villa of an Italian duchess, the beachfront oasis is surrounded by Yucatán jungle, and has been reimagined in 2014 with an arrival of a new owner. There are 29 tropical-chic suites and villas, with private terraces and personal touches like complimentary beach bags, snorkeling gear, and Havaiana sandals.